We Are Now The Official UK Distributor for Kölner Gilding Products! It pleases us to announce that starting this month we are now the exclusive UK distributor for Kölner products! 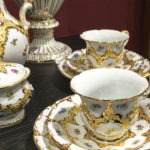 Starting from today we will stock and distribute their range of high-end, German-made gilding products. Our relationship with Kölner started with a workshop in London last winter. 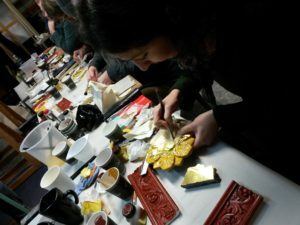 An enthusiastic group of our most talented clients braved the freezing weather to take a class in gilding using the Kölner Instacoll Gilding System. Peter Voshart, one of the owners of Kölner demonstrated this and Kölner’s other innovative gilding products. Under his expert tutelage the class was treated to a demonstration of finishes possible using Kölner’s revolutionary products. 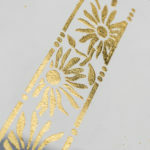 Our clients have years of experience with traditional gilding and products. In spite of this, Peters infections enthusiasm and confidence in his product soon swayed even the most dubious of them. The initial apprehension on how well the product would work vanished as soon as Peter guided them through their first application of the Instacoll Gilding system. 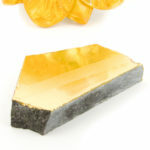 After laying leaf onto the Instacoll Base all it took was a buff to create a glossy finish. The brightness and gloss of the gilt finish blew them away, even the biggest naysayers! We were so impressed by Kölner’s products that we needed to know more. One of the directors of Gold Leaf Supplies, Steve Rees, decided to visit the factory in Germany. 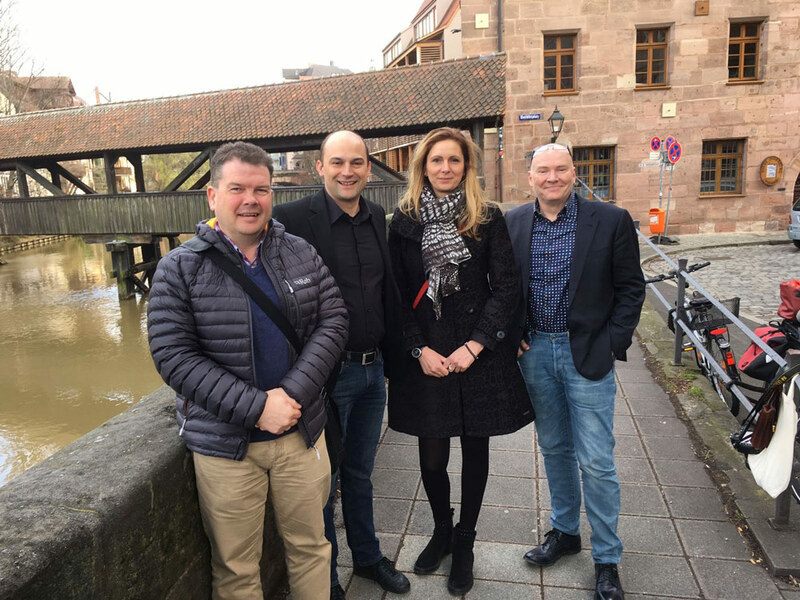 The staff of Kölner showed the warmest hospitality and offered Steve a guided tour. 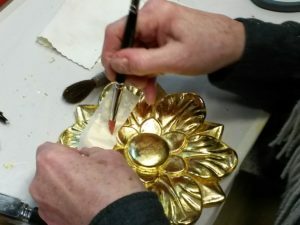 After touring the factory Steve saw examples of items gilded using the Instacoll Gilding System. The finishes that trained German gilders have created using Instacoll are breathtaking. The visit convinced Steave that Kölner would be an excellent company to work with. Kolner’s staff and directors were friendly and impeccably professional, and their product excellent. The magnificent range of work on display was all the proof that their range would fit well with our client base and existing products. Kölner’s range of products for gilding is quite broad, with a product for almost any use, including stone, ceramics and more. Their flagship product is the Instacoll Gilding System. This water-based system creates intense high-gloss gilded finishes on both interior and exterior surfaces. For stonemasons we recommend Kölner Rapid Stone. This product designed for stonemasons and letter cutters looking to gild blasted or carved stone. Another specialist product is Kölner Miniatum. It’s designed for use on flexible surfaces such as paper, leather, and vellum – it’s perfect for illuminating manuscripts. If you are looking to gild, or repair previous gilding, on ceramic items then Kölner’s Ceramic Size is the best product for the job. Finally, Kölner Permacoll is a superb, water-based adhesive size. It’s well-suited for large interior projects, such as gilding walls and ceilings. All the above products mentioned above and more are available for in our online shop. We stock smaller sizes for enthusiasts and hobbyists alongside larger pack sizes for trade users. 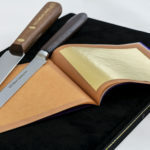 Our range of products also includes professional quality gilding tools for any gilder. Click here to view the Kölner section on our website. We will be organising further tutorial workshops from Autumn onward. Please watch this space for details or contact our office. Titian Studios in London are one of Europe’s premier studios / workshops for high-end restoration and conservation. Their talented team has a varied skill base capable of undertaking a wide variety of projects, whether residential or commercial. The Company was founded in 1963 and Rodrigo Titian was taught the trade by his father. They run a thriving workshop and Rod and his wife Rosario have passed their knowledge on to many artisans and restorers who have done apprenticeships under their expert guidance and have since gone on to develop their own workshops. 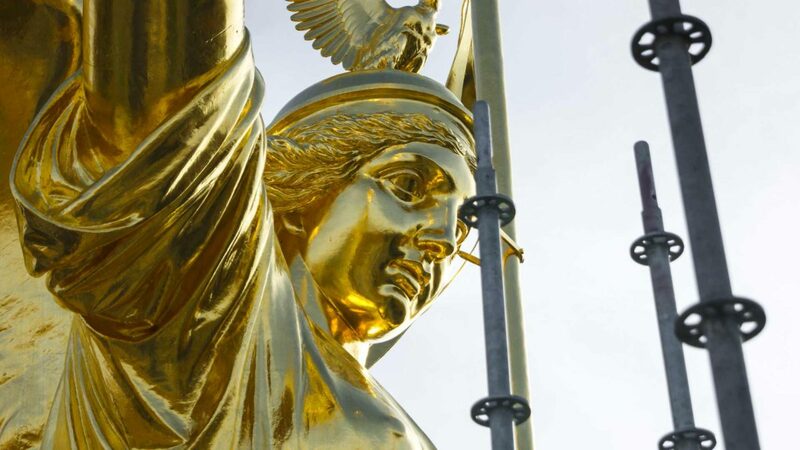 It pleases us to say that we have supplied Titian Studios with gold leaf and gilding materials for many years and have become good friends with Rod and his team. Due to the company’s extensive skill base and “ never say never” attitude, the projects we have worked with them on have been as varied as is possible. 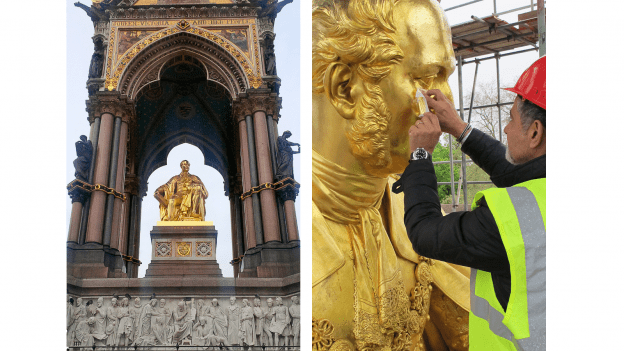 We supplied leaf for the re-gild of the Royal Albert Memorial, the Dome of the Guru-Nanak temple in London, the gilding of various interior hotel projects including the Dorchester and the Sheraton Hotels, London. Also, we have supplied leaf for a variety of high-end residential projects using many different metals, Caplain, Palladium, Platinum, and Champagne gold leaf. An interesting, but unusual, project that we supplied leaf for was a commission for gilded shoes and accessories. These were to be shown to an audience of worldwide fashion icons at a fashion show during London Fashion Week. Despite the strange nature of the request the talented team of gilders at Titian was not fazed and yet again they produced some lovely gilding work… oh to own a pair of those shoes! Can You Imagine A Cooler Set Of Wheels? Untitled Motorcycles painstaking attention to detail extends even to minor things like this custom bracket for the stop light. 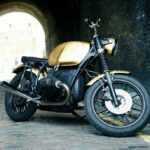 This bike mixes low key functional looks with ostentatious flair to create a truly head-turning piece of work that serves as a fantastic showcase for the hard work of the team at Untitled Motorcycles. 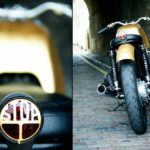 Deep under the arches, behind the canal, within spitting distance of the markets and the MTV studios in Camden Town resides the home of Untitled Motorcycles, where Adam, Rex & Anita chop, grind, weld, rivet and wrestle old school bikes into retro-modern classic street rides. 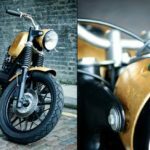 This bike was originally put together by the team for the Bike Shed event last May who have elevated this once humble R80/7 to a masterpiece on wheels. The gold leaf finish was done by Adam himself; taking inspiration from picture frames and Chinese art he laid the 23.5ct leaf over a red undercoat – a common technique to enhance the colour of leaf, in a few places the undercoat shows through evoking the effect of weathering on ancient Chinese statues. This bike is now Adam’s everyday ride and it’s fair to see now that he’s on a bike you simply can’t miss. 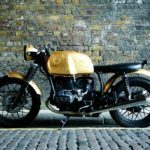 This bike is a testament to the craft and quality of Untitled Motorcycles street customs, if you’re interested in riding one of your own then get in touch with them through their website. If this article has inspired you to try using gold leaf in your own projects then just remember this: this project was Adam’s first time gilding and he learned as he went along and as you can see for yourself the results are stunning. If you’ve got your own project that you’d like to add some flair to then we have a range of kits available on our website to help get you started! 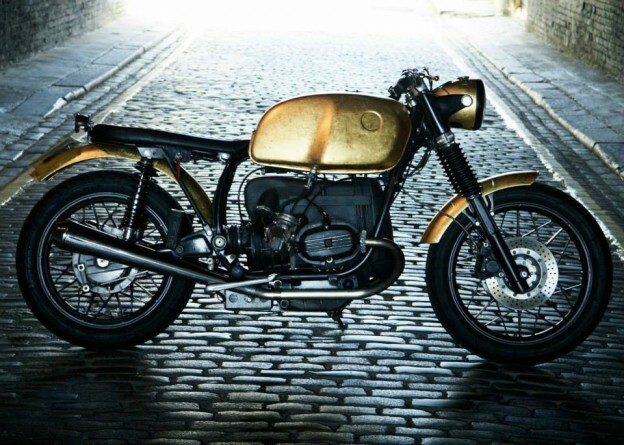 Author Gold Leaf SuppliesPosted on 24th January 2014 24th January 2014 Categories Client Showcase, Exterior, Gilding, UnusualTags exterior, genuine gold, Gilding, gold, motorbike, untitled motorcyclesLeave a comment on Can You Imagine A Cooler Set Of Wheels?